Ballistic Boats has released the latest ski-boat to hit the market and Geoff Green thinks this Craig Loomes designed flyer will do more than turn heads. The Ballistic 1950KC is a second-generation design drawn by Craig Loomes and built by Scott Lane. Scott served his time with Lloyd Stevenson Boat Builders and he is currently building a 12m launch, as well as putting time into developing Ballistic Boats. 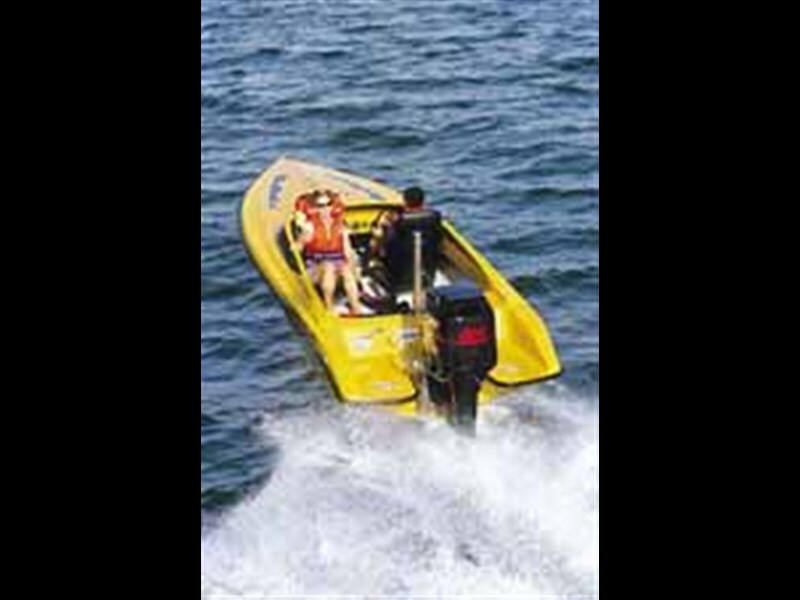 Ballistic Boats came into being because Scott wanted a fast ski-boat to replace Gone Ballistic (his first Loomes designed skiboat). However the project generated so much interest that Scott produced female tooling so he could put the boat into production. "When I made the decision to build another ski boat I consulted with Craig because Gone Ballistic had performed really well and proven stable at speed," says Scott. Loomes says the design sequence included evaluating Gone Ballistic with a view to making it go quicker and be a little better sea boat because Scott wanted to participate in some not-too serious offshore racing. "This meant we needed a slightly deeper vee and a finer entry. And because we intended to use hi-tech materials to produce a lightweight hull, we had to decrease the displacement of the underwater form. This required a slight reduction in waterline beam so that the boat would slice through the water cleanly and sit at rest with good stability." Massive Attack has a ski-flat on the bottom that Craig describes as moderately conservative. He says the strake geometry differs from the norm and it generates opposing forces to settle the boat down. " I put relief in the strake profile. This gives a truer run in relation to the water flow and generates a touch of suction, which settles the stern and gives the boat a docile nature." Craig says aerodynamics are very important when travelling across the water at 80mph. "One of the design problems we faced was the nose lifting and trying to fly away. To counter the lifting forces we designed in a touch of reverse sheer and shaped the screen to produce significant down-ward force." Andre Moltschaniwskyj, a partner and composite engineer at Craig Loomes Design Group, says Scott's brief predetermined the structure because it had to be 'bullet proof' at 80mph. Our primary goal was to make the hull strong enough to withstand high-speed abuse while offshore racing, then we turned our attention to making it light. Our third consideration, keeping the structure simple to build, was driven by Scott's intention to put the design into production. In summary, we designed the laminate to be strong, light and efficient to build." Massive Attack is quite hi-tech. It uses vinyl-ester resin, tough linear foam cores (Airex R63-140), a Kevlar outside skin to give impact strength and carbon fibre in the inside skin to provide stiffness. The bonded hull and deck weighs 255kg. Fully fitted out and complete with engine, the boat weighs 660kg empty of fuel. Scott's intended use is 80% pleasure skiing and 20% laid-back racing. 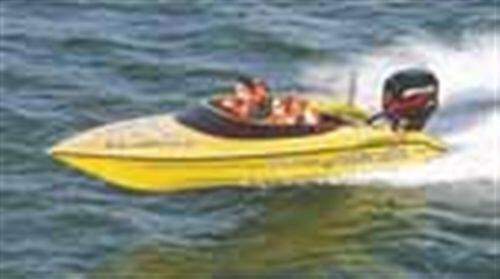 This mix sums up the boat's market and it's aimed at specialist water skiers and the young at heart who want to go fast. It will be available in a range of lay-ups and this gives buyers a sliding scale of cost, weight and performance options to choose from. The engine selection can also be varied and the boat will perform well with engines between 140hp and 300hp. A 140hp engine should deliver around 55mph and a 300hp an eye-watering 100mph if the boat is built to race trim. I found the boat confidence building on the water and it generally felt connected and controlled. Drivers comfortable with driving quickly could get in the Ballistic 1950 and drive it fast because it is reasonably docile. The 200hp Mercury was slightly under propped and the propeller needed a touch more pitch to hold the revs at 5,800rpm, the recommended maximum for the engine. The tacho went to 6,200 rpm at which point the speedo registered around 85mph. The propeller was a four-bladed, exhaust-over-hub design (14x 28) selected for speed and Scott uses a 15 x 23 Tempest through-hub design for skiing. When you put your foot down at 50mph Massive Attack rockets to 70mph and lets you know it was quick doing it. The boat feels light at 80mph and it's a little akin to flying because there is only the prop and half a metre of boat in the water. While doing 80mph I looked up to see a diagonal wake and it made my phew-phew valve pucker up to the seat I can tell you. I thought the boat might live up to its name (go ballistic! ), but it only danced on the plank, rocked and rolled a bit and gave a brief shot of air to the prop. I was a lot more relaxed after that. A Ballistic 1950 hull and trailer package (standard glass version ready to accept an engine) will retail at around NZ$26,000 plus GST and Scott says this compares favourably with other boats on the market. For this you get an all-new, second-generation design that gives high-speed confidence, interior fit-out and a tandem axle trailer. The galvanised trailer chassis is painted to match the boat and it is decked over in kwila decking so that you can walk its length and breadth. Megan Ross, a member of the New Zealand Women's Water Ski Team, skied behind the Ballistic 1950KC. Megan holds the women's jump record and is ranked number two in slalom. She says if you want an uncompromised ski boat that can be pressed into a wide range of recreational services, a Ballistic 1950 is a good choice. "The best slalom wakes are found in the range of Long Line to 14-Metre. The wake is noticeably softer than other similar boats, which makes it ideal for intermediate and training levels. 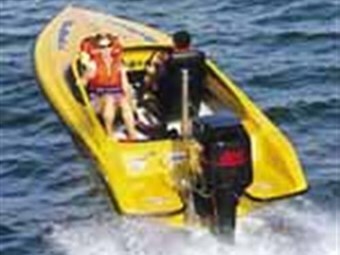 The slalom wake remains small as the towrope is shortened. The table is flat and non-turbulent and spray from the boat is virtually non-existent. In summary, the Ballistic 1950 has broad recreational appeal with excellent skiing characteristics." For further information contact: Scott Lane Boat Builders. Ph (09) 292 8177 or 025 765 443.